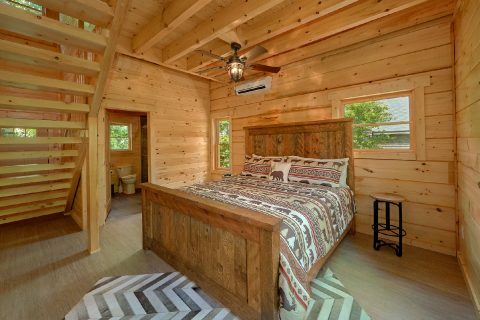 Looking for a unique cabin for you and your sweetheart? 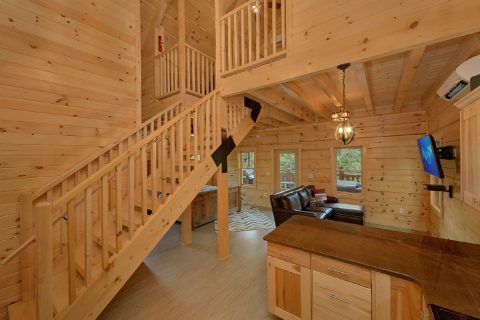 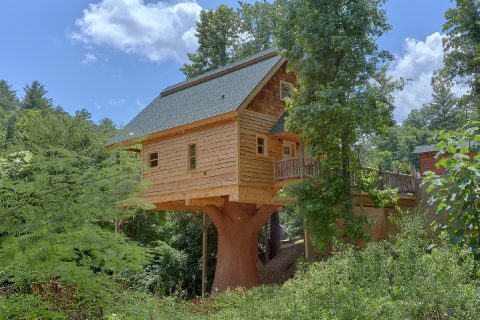 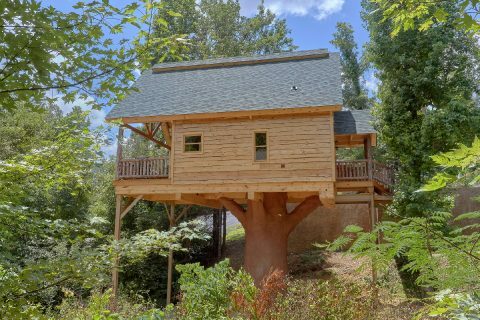 Look no further than "Out On A Limb," a lovely treehouse inspired cabin rental in Mountain Park Resort that's less than 1 mile from Downtown Pigeon Forge, TN in the Smoky Mountains! 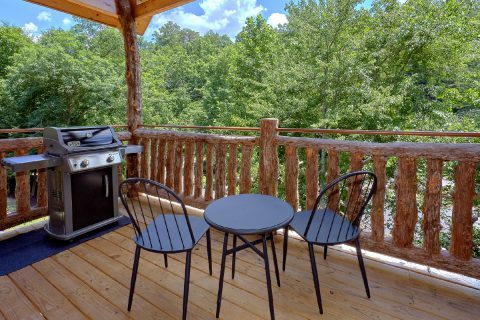 Not only does this cabin keep you close to exciting attractions like Dollywood and The Island, but it also provides you with resort swimming pool access courtesy of Mountain Park Resort. 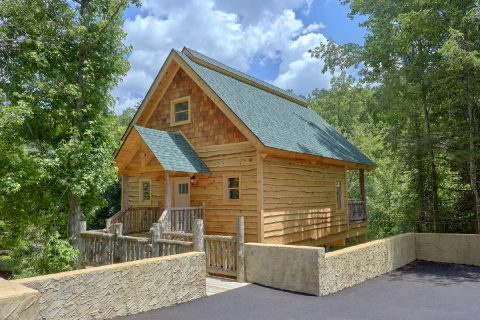 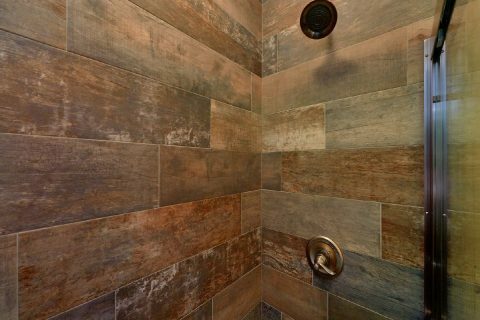 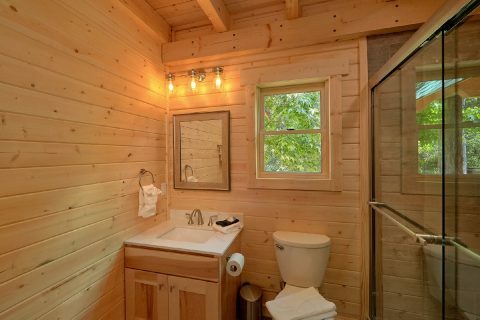 When you aren't busy exploring the best attractions in the Smokies or relaxing by the outdoor pool on a beautiful day, you'll love unwinding at this charming cabin. 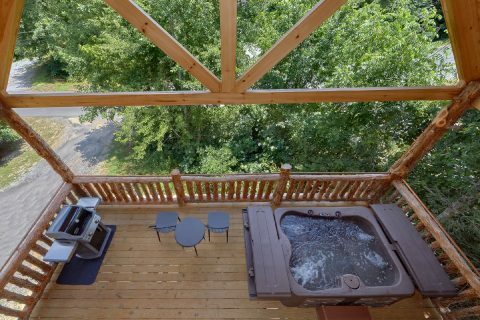 Step onto this cabin's deck to enjoy the lovely, forested location and take a dip in the warm waters of your cabin's hot tub. 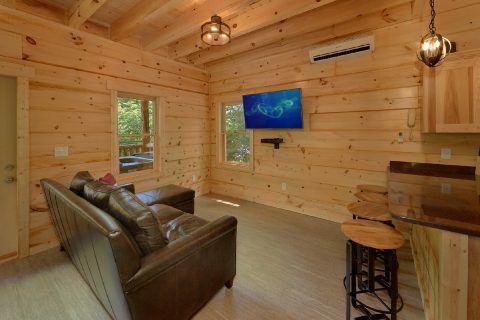 Next, step inside to the cozy living room area to enjoy some quality time with your loved one. 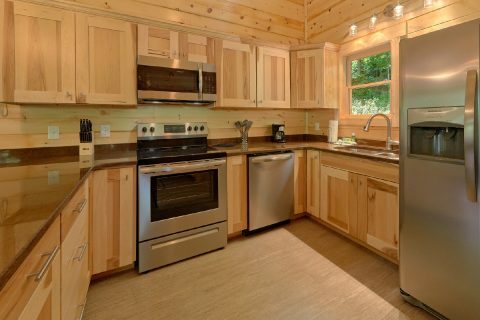 Nearby, you'll find a full kitchen and dining area, perfect for planning a romantic dinner during your stay. 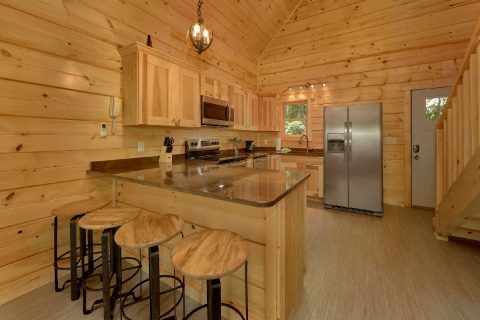 This cabin also comes complete with a gas grill for cooking out in the fresh mountain air. 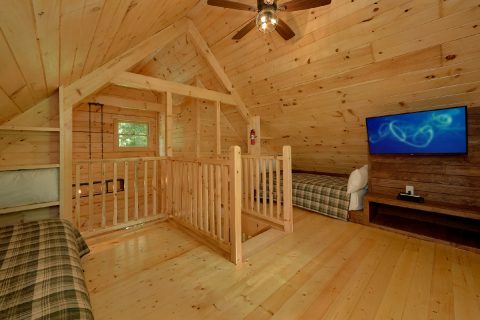 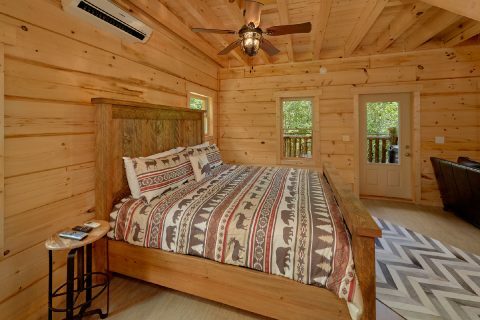 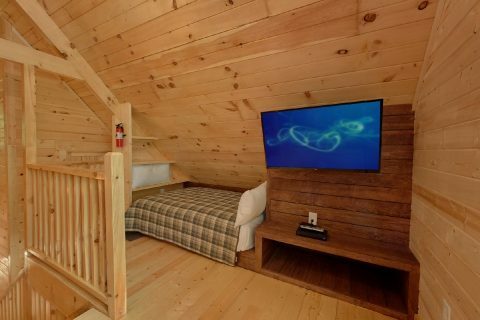 After a great day spent hiking in the national park or riding roller coasters at Dollywood, you can look forward to getting a great night's rest in this cabin's king-size bedroom on the main level. 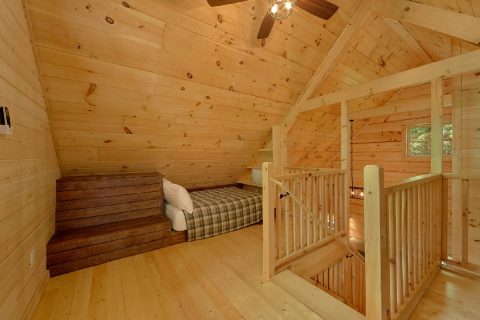 In the upstairs loft, you'll find two full-sized beds, so this cabin can accommodate up to 6 guests in comfort. 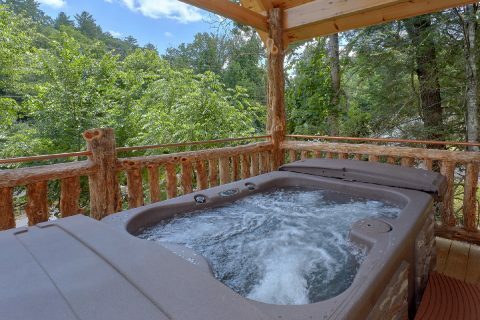 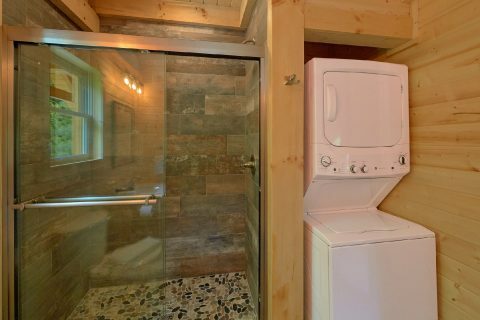 With useful amenities like WiFi Internet and a washer/dryer, this luxurious cabin provides everything you need for an unforgettable honeymoon in the Smokies! 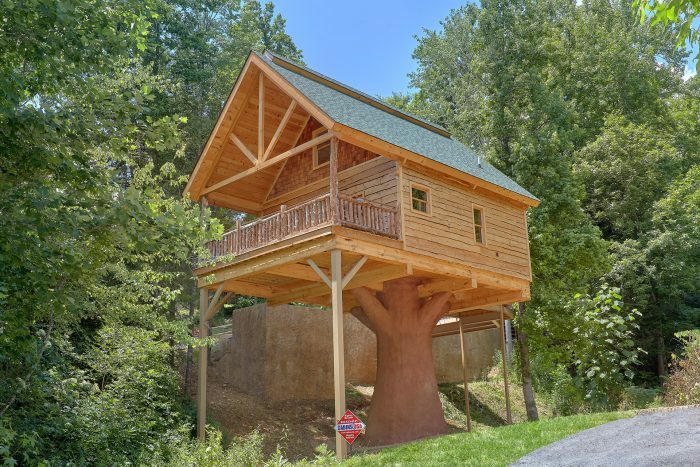 Book "Out On A Limb" today with Cabins USA Gatlinburg and you'll save 15% on your nightly rate with our special cabin discount!